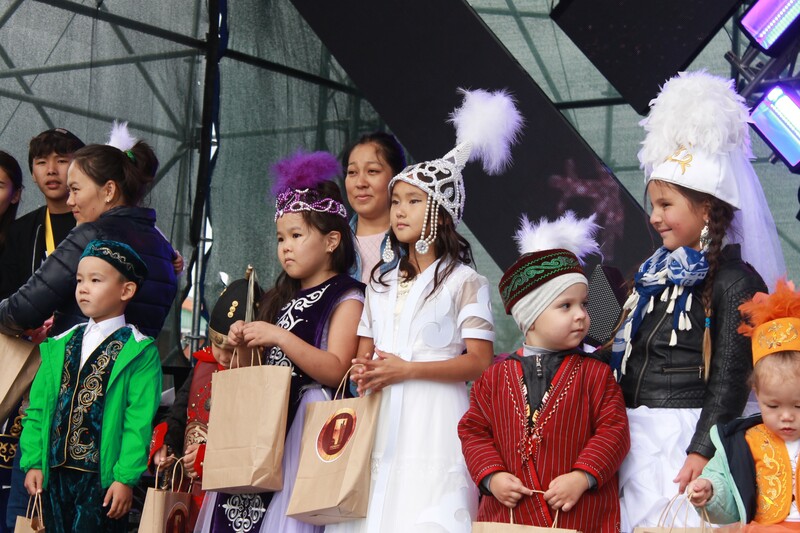 ASTANA -- The International Festival of Nomadic Culture "Koshpendiler Alemi", held June 30-July 1 in Astana, put the spirit of nomadic culture and pastimes on display. Eight groups representing Kazakhstan, Kyrgyzstan, Turkey, Ukraine, Hungary, Bulgaria, and the Russian republics of Bashkortostan and Yakutia participated in the festival, timed to co-ordinate with the 20th anniversary of Astana's elevation to capital of Kazakhstan. The festival is based on the Great Kurultai of the Turkic Peoples, which has taken place in Hungary since 2008, organisers said. The participants showed off their skills in various nomadic pastimes and national games, offered master classes in horse riding and archery and presented food, music and handicrafts representing nomadic tribes. An estimated 5,000 visitors attended the festival at the Ethnoaul National Cultural Complex, according to the Kazakh prime minister's office. "I was crazy about everything! The horseback riders, music, folk costumes and different dishes," said Yevgeniya Tsoi, 17, of Astana. "It was great to see how members of different peoples of Central Asia ... can communicate, be friendly and share their positive feelings," she told Caravanserai. "The spectators were delighted, and I really enjoyed it!" The main goal of the event is to preserve historical values and transfer them to new generations, said the Astana government. 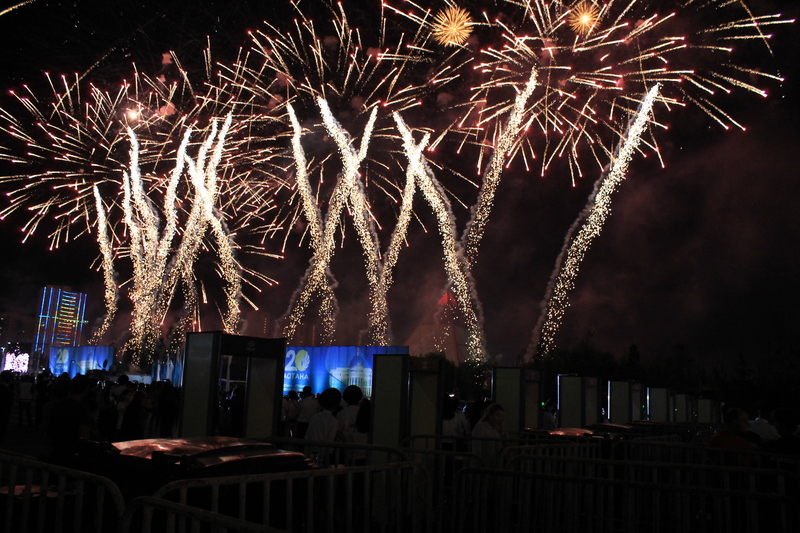 Citizens last Friday celebrated the 'Day of the Capital' with concerts, dance performances, patriotic events and a fireworks display. 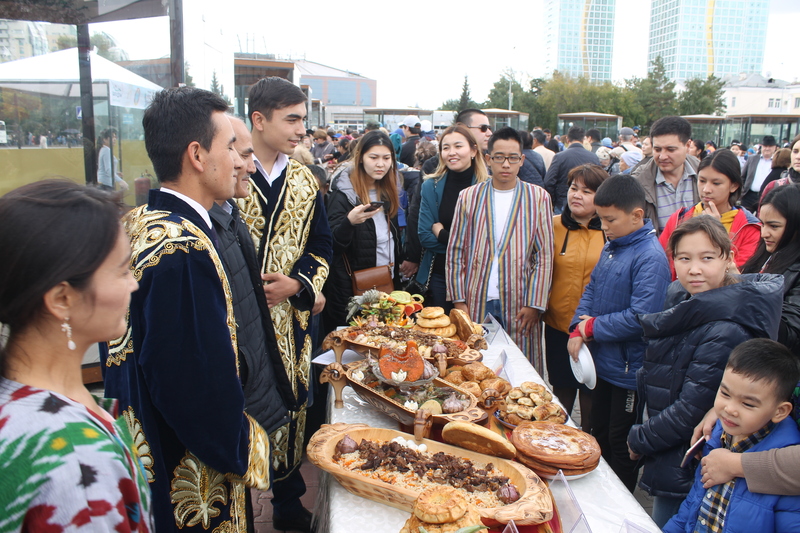 Hundreds of Astana residents and other guests visited the exhibition to listen to Uzbek pop performers and to taste a different national cuisine.